Every maker has a story. Be a part of A Word Fitly Spoken's story by placing an order, leaving a review, and seeing your review appear here. This was a fun little project, with such an adorable face smiling at me all the while! A Brag Pillow, with the baby's photo and first and middle name, couched in a sea of pink. 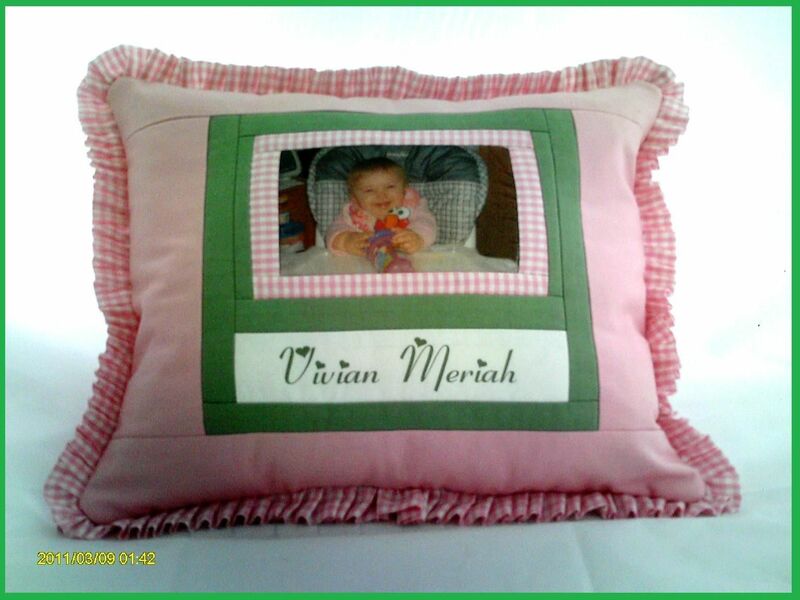 A delicate ruffle completed this Pillow Memory Quilt as a gift for a proud Grammy. Your pillow can have a closure so you can remove it for laundering, if needed, or simply be sewn closed. The filler I use is also washable. Each comes with a Quilt Care Card and Acid Free Tissue Paper for safe storage.